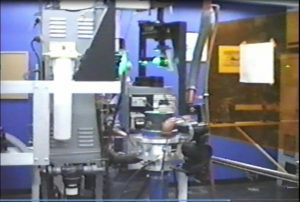 Sample scientific and engineering R&D efforts are shown here. More on Gas Turbine, Supercritical Fluid Technology, Liquid Rocket Engine (LRE), Combustion Instability, Light-Activated Volumetrically-Distributed Ignition with Nanostructured Materials, Nanotechnology and Fuels, etc will be coming up soon. The discovery that a nanostructured material behaves differently than the bulk material opened the door to many exciting opportunities. One such opportunity is the observed ignition of single-walled carbon nanotubes (SWCNTs) with a camera flash. In this paper, results from distributed ignition of fuels with SWCNTs are presented which motivated further investigation of dry SWCNT samples. 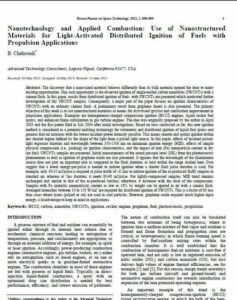 Consequently, a major part of the paper focuses on ignition characteristics of SWCNTs with an ordinary camera flash. A preliminary result from graphene sheets is also presented. 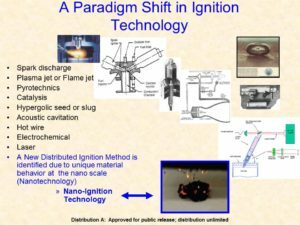 The primary objective of this work is to use nanostructured materials as means for distributed ignition and combustion improvement in propulsion applications. Examples are homogeneous-charged compression ignition (HCCI) engines, liquid rocket fuel sprays, and enhanced flame stabilization in gas turbine engines. The idea was originally proposed by Dr Chehroudi in April 2003 and the first patent filed in July 2004 after initial investigations. Based on tests conducted so far, this new ignition method is considered as a potential enabling technology for volumetric and distributed ignition of liquid fuel sprays and gaseous fuel-air mixtures with the lowest incident power intensity possible. This means remote and spatial ignition within any desired region defined by the shape of the light from a pulsed light source. In this paper, effects of incident pulsed-light exposure duration and wavelength between 350-1500 nm on minimum ignition energy (MIE), effects of sample physical compression (i.e., packing) on ignition chara cteristics, and the impact of iron (Fe) nanoparticle content in dry (no fuel) SWCNTs samples are presented. Initial measurements of the sound pressure level (SPL) from the photoacoustic phenomenon as well as ignition of graphene oxide are also presented. It appears that the wavelength of the illumination source does not play an important role as compared to the flash duration, at least within the range studied here. Data suggests that a lower energy-per-pulse is needed to initiate ignition when a shorter flash pulse duration is used. 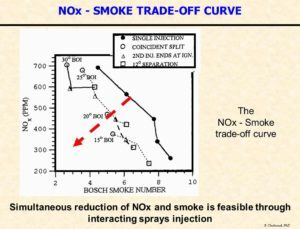 For example, only 30-35 mJ/pulse is required at pulse width of ~0.2ms to initiate ignition of the as-produced fluffy samples in standard air, whereas at 7ms duration, it needs 80-90 mJ/pulse . For lightly-compressed samples, MIE trend remains unchanged and similar to that of the as-produced batches; otherwise, it increases with the level of the compression. Samples with Fe (metallic nanoparticle) content as low as 18% by weight can be ignited in air with a camera flash. Averaged intensities between 10 to 150 W/cm2 are required for distributed ignition of SWCNTs. This is a factor of 80 less than cases where lasers (pulsed or cw) are used in coal particles. However, graphene oxide required much higher input energy, a disadvantage to keep in mind in applications. Advanced Technology Consultants has been conducting R&D in propellant injection issues pertaining to liquid rocket engines for over 15 years. 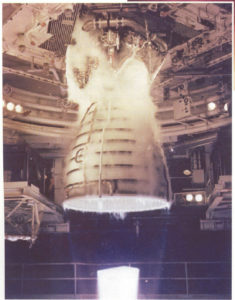 One of the areas of expertise in which ATC has achieved world-class performance and prominence is the understanding of the injection under supercritical condition similar to what occurs in (liquid) hydrogen/oxygen cryogenic liquid rocket engines such as space shuttle main engine (SSME). 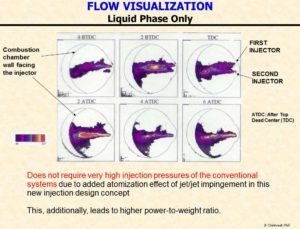 Our work on supercritical injection, conducted at Air Force Research Laboratory (AFRL) and in the context of liquid rocket engines, is globally recognized as original and pioneering. 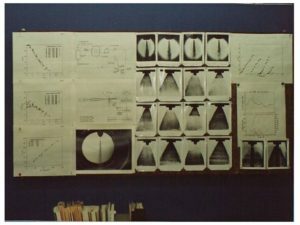 He started his R&D work on high Reynolds number injection of jets in 1998, at a time when no model for such cases existed, and in general not much quantitative information was available, for use in a systematic computational simulation. His leadership in this area culminated to a ground-breaking finding, which quantitatively proved that supercritical jets, for the most part, appeared like incompressible variable-density jets. 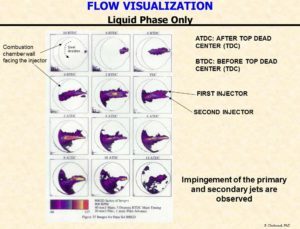 Application of Fractal Analysis to the supercritical jets was considered for the first time. The fractal dimension measurements for the boundary of such jets supported the notion that such jets appear as incompressible variable-density jets. 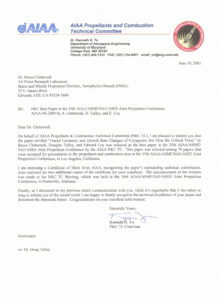 He also conducted modeling efforts on supercritical jets resulting to the only validated model in the literature. 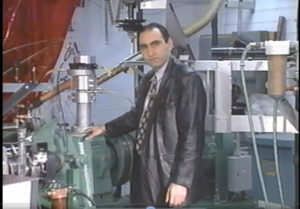 For example, for the first time, a successful model for the growth of the mixing layer in coaxial injectors under supercritical condition was proposed by Chehroudi which is currently the only reliable one being used by design engineers and modelers. 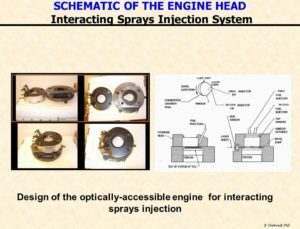 The video clip to the right (click on the image to run the video) describes the engine experimental setup for the so-called "Interacting Sprays Injection System" sponsored by the General Motors. 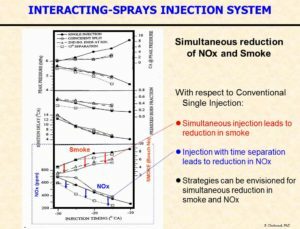 The work is to explore the potential for simultaneous reduction of NOx and Soot in diesel engines through an innovative interacting/ impinging sprays concept. This design, first proposed by Dr Chehroudi for diesel engines, was inspired by his work on impinging jets in liquid rocket engines such as Apollo Project. 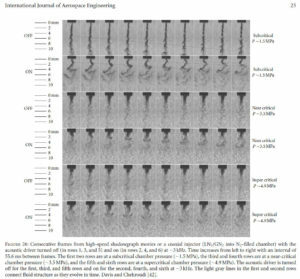 For more on impinging jets in rockets see "Comprehensive Review of Liquid Propellant Combustion Instabilities in F-1 Engines" or "Recent Experimental Efforts on High-Pressure Supercritical Injection for Liquid Rockets and Their Implications." 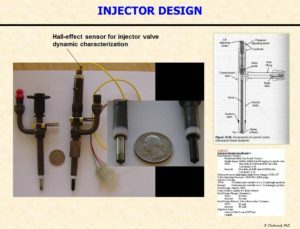 The video to the right (click on the image to run the video) describes details of the components used and their interconnections for the Interacting-Sprays Injection systems. (described by Dr. Ken Sinko). 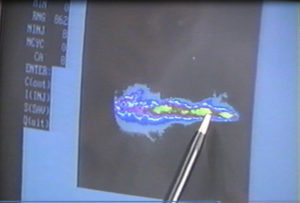 This video (click on the right image to run the video) describes some of the results acquired from a single-cylinder visualization engine showing laser induced visualization of the spray injected into the combustion chamber. 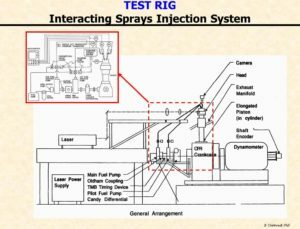 This video (click on the right image to run the video) shows some more details of the test engine setup and actual operation of the engine in order to acquire data from fuel sprays interacting inside of the engine. Towards the end of the video one can hear the sound of fuel/air autoignition in this diesel engine under the skip-fire operating mode. 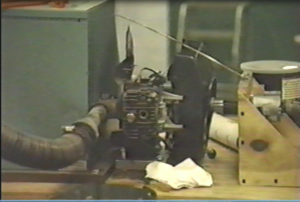 This video clip (click on the right image to run the video) shows a test setup of a single-cylinder small two -stroke gasoline-fueled engine on a small dynamometer. The engine head is equipped with a pressure transducer to provide traces for combustion signature diagnostics. 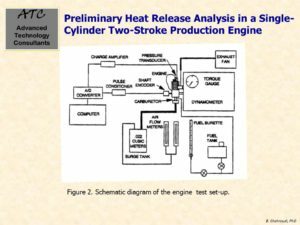 In this case, a one-zone model is used to calculate the heat release rate and mass fraction burned information to understand the combustion characteristics of this engine. Results have been published in the literature. For example, see Rohrer, R. and Chehroudi B., 1993. 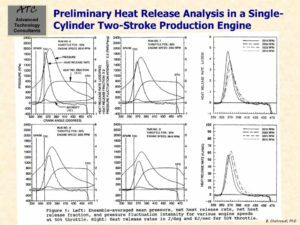 Preliminary Heat Release Analysis in a Single-Cylinder Two-Stroke Production Engine, Society of Automotive Engineers, 1993 Congress and Exposition, SAE Transaction Paper 930431, March 1-5. 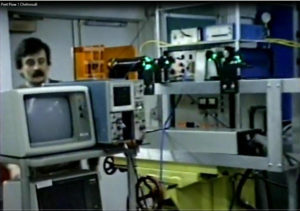 This video clip (click on the right image to run the video) is about a single-cylinder optically-accessible research engine setup for measurements of intake flow dynamics using Laser Doppler Velocimeter (LDV). 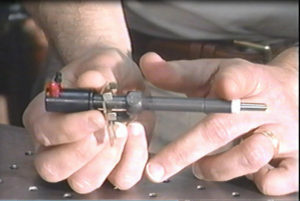 A unique rotating mechanism was designed for convenient and rapid measurements of the velocity vectors at sufficiently large number of points at the plane through which flow just enters the cylinder. 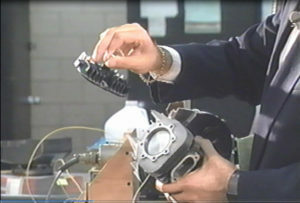 This video clip (click on the right image to run the video) shows operation of an engine for intake port flow measurements using Laser Doppler Velocimeter (LDV). 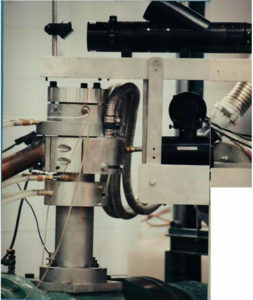 The entire transmitting optics are on a lathe machine base to enable precise XYZ traverse for easy optical alignment/measurement purposes as well as achieving convenient rotation of portion of the transmitting optics along the engine axis for rapid intake port flow measurements (engine was under two-stroke operation). The person in the image is Konstantinos Boulouchos who was a visiting researcher to the laboratory (currently a professor at the ETH Zurich, Switzerland). Results have been published in the literature. For example, see Bardsley, M. E. A., Boulouchos, K., Gajdeczko, B., Chehroudi, B., and Bracco, F. V., 1989. Measurements of the Three Components of the Velocity in the Intake Ports of an I. C. Engine, Society of Automotive Engineers, 1989 Congress and Exposition, SAE Transaction Paper 890742, February 27 - March 3. 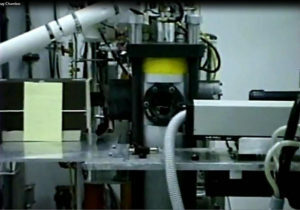 This video clip (click on the right image to run the video) shows more details of the test setup for laser diagnostics in single-cylinder optically-accessible research engine. 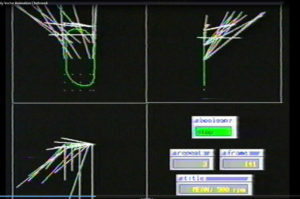 This video (click on the right image to run the video) shows vector plots of the velocity field for an inlet port at the plane where the flow just enters the cylinder. The movies show three perpendicular views for the velocity vectors at the aforementioned measurement plane. For 3D visualization of velocity vectors click here: 3D_Vel_Vector_Animation. The images to the right show an optically accessible engine for combustion and flow studies using laser diagnostics such as Laser Doppler Velocimeter (LDV), Phase Doppler Particle Analyzer (PDPA, Exciplex method, high-speed visualization of in-cylinder phenomena, and spectroscopy. The engine head can be readily changed for either compression ignition (diesel) or spark ignition (SI) engine studies. Results have been published in the literature. For example, see Schuh, D. and Chehroudi, B., 1992. 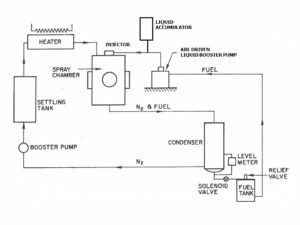 LDV Measurements of Intake Port Flow in Two-Stroke Engine with and without Combustion, Society of Automotive Engineers, 1992 Congress and Exposition, SAE Transaction Paper 920424, February 24-28. 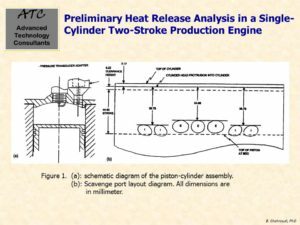 The image to the right shows an schematic diagram of the high-pressure high-temperature closed-loop spray chamber for liquid atomization and spray characterization studies. 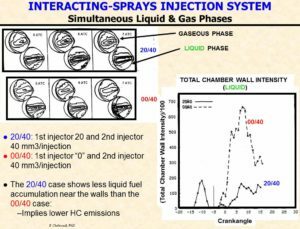 This video (click on the right image to run the video) shows details of the high-pressure and high-temperature spray chamber for liquid atomization and fuel injection studies. The chamber has four large-sized quartz windows providing access at intervals of 90 degree angle. 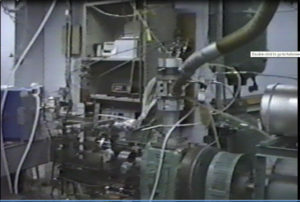 The chamber can be operated under steady-state condition for several hours. 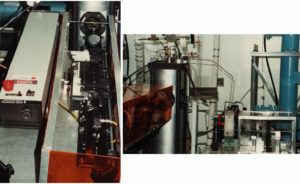 The images to the right show a high-pressure and high-temperature spray chamber with optical access through four large quartz widows. The system is operated under closed loop arrangement and one can perform tests on steady-state or transient sprays continuously and for several hours. 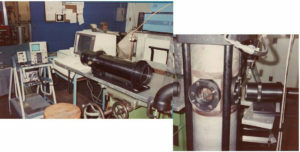 The images show views of the high-pressure and high-temperature spray chamber. The gentlemen in the upper left corners are Phil Felton and Will Bachalo (Dr Bachalo is the inventor of the Phase Doppler Particle Analyzer (PDPA)). 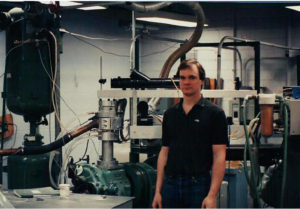 The setup was to test the first prototype of the PDPA under the high pressure and temperature using a dense diesel-type spray from a single-hole nozzle at high injection pressures. More images of the sprays chamber are given below. Images of the high-pressure and temperature spray chamber for liquid atomization and fuel injection research and development are presented here. 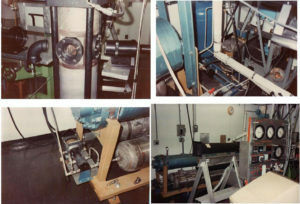 Sample images acquired from a diesel-type spray (upper row) and conically-opening poppet injector designed for Direct Injection Stratified Combustion (DISC engine program) combustion studies are shown. The DISC program was a collaboration by General Motors Research Laboratory, Princeton University Engine Research Laboratory, Los Alamos National Laboratory, and Sandia Combustion Research Facility sponsored the US Department of Energy (DOE). 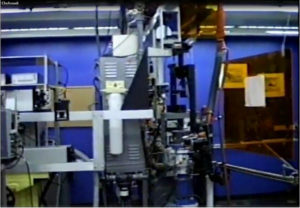 Images of the high-pressure and temperature spray chamber for liquid atomization and fuel injection research and development are shown. 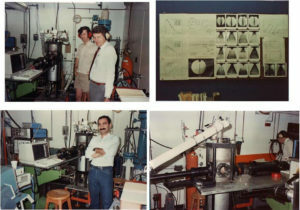 The pictures show a setup for laser optical diagnostics to map spray droplet size and velocity fields. 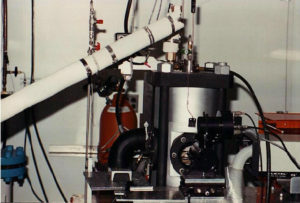 In the movie clip, a setup for transient spray characterization of a gasoline direct injection system by Ford DFI-3 using a diffraction-based drop size distribution (by Malvern) can be seen. Results are published in the literature. For example, see Laforgia, D, Chehroudi B. and Bracco, F. V., 1989. Structure of Sprays from Fuel Injections - Part II, The Ford DFI-3 Fuel Injector, Society of Automotive Engineers, 1988 Congress and Exposition, SAE Transaction Paper 890313, February 27- March 3.